Hanoi (VNA) – The Vietnam Red Cross Society (VRCS) has raised nearly 340 billion VND (14.7 million USD) in support of more than 1.8 million Agent Orange (AO) victims from 2013-2017. During the campaign “New Year festival for the poor and AO victims”, the VRCS also presented gifts worth more 3.46 trillion VND (150.6 million USD) to 9.76 million people. 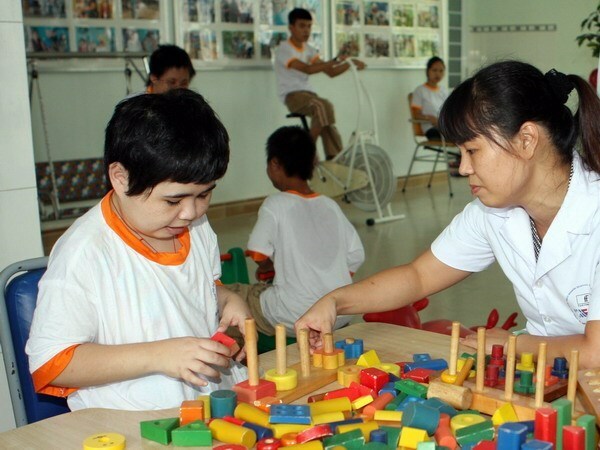 VRCS Chairwoman Nguyen Thi Xuan Thu said over the past years, the organisation has offered practical support to AO victims such as building houses, offering vocational training and orthopedic surgery, and creating jobs. It also provided medical care for hundreds of AO victims from the provinces of Thanh Hoa, Nghe An, Ha Giang, Quang Ninh, Thai Nguyen, Kon Tum, Thua Thien-Hue at its nursing and first aid centre in Sam Son city, the central province of Thanh Hoa.